It was another week full of activity out at Glenbow Ranch Provincial Park. 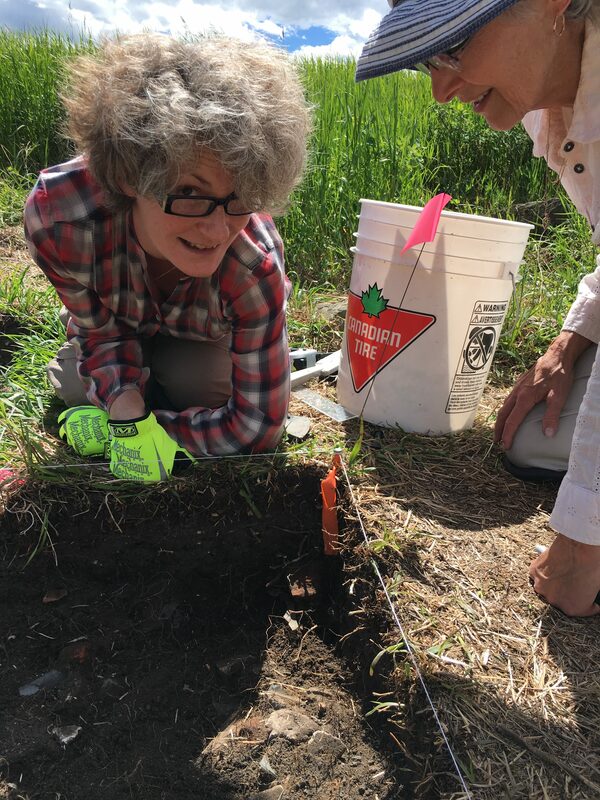 On Monday, with the help of our two dedicated volunteers, Carol McCreary and Cassandra Mihalicz, we continued to uncover lots of nails, brick, and glass in our southern units. On Tuesday we made quick work of the mapping thanks to the help of returning volunteers: Tracy Teh and Carol McCreary. We were happy to have Carol make the drive from Turner Valley for a third consecutive day of excavations on Wednesday. She helped us lay out some units in our western trench. 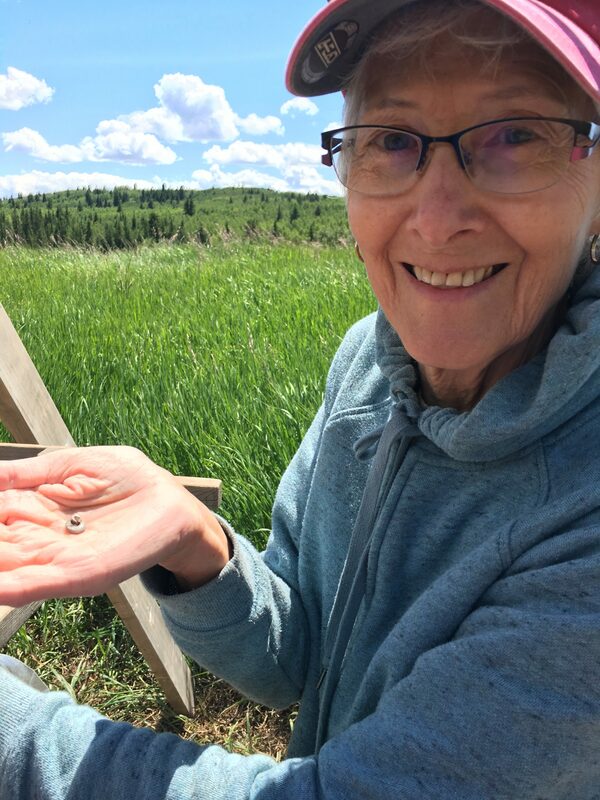 We had a lot of interest in our project on Thursday: Shari spoke about the history of the Glenbow quarry and its associated settlement to a tour group learning about the park. 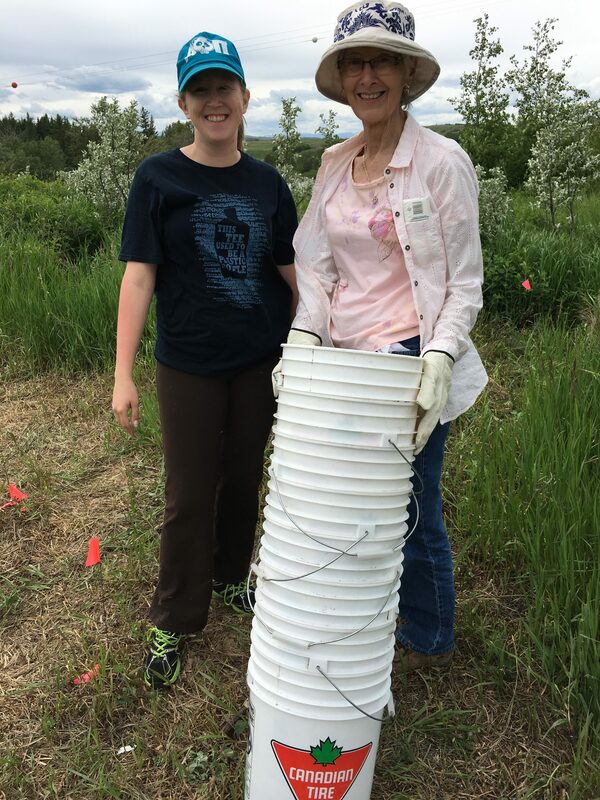 Volunteer Cristina Fernandez Conte got her first taste of archaeological field work when she joined returning volunteers Lorraine Stratkotter and Cassandra Mihalicz. Shari and I opened two more southern units, while they worked hard searching for the foundations of the bunkhouse in the western trench. On Saturday, Shari and I spent the day in Bearspaw for the Community Heritage Celebration. We had a great turnout. There was a lot of interest in the project, and there were some descendants of the Glenbow Village in attendance. It was a pleasure to meet them and hear about their family members. 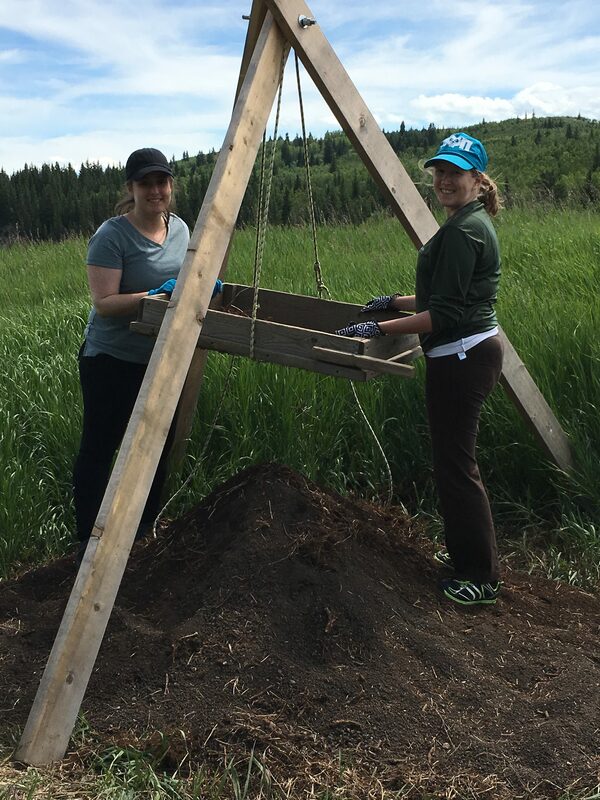 There are only a few more days of excavating left before we break for the summer, so if you would like to come out and volunteer with us, please contact info@arkycalgary.com. We plan to return in September to finish up our field season. Remember to tune in to CBC on Monday at 6:48 am to hear Shari give an interview about our project or listen to the podcast after work!